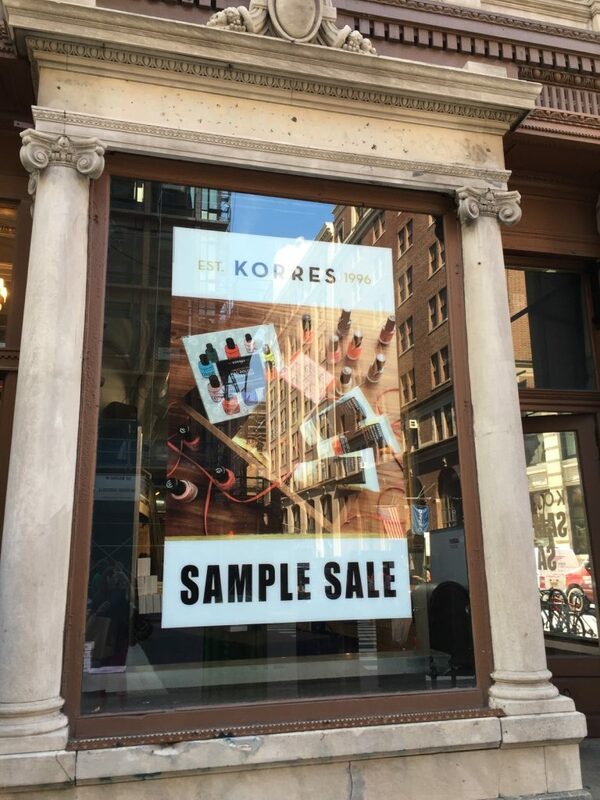 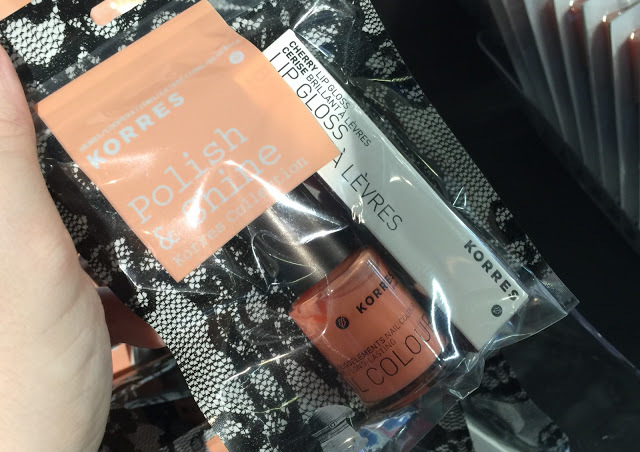 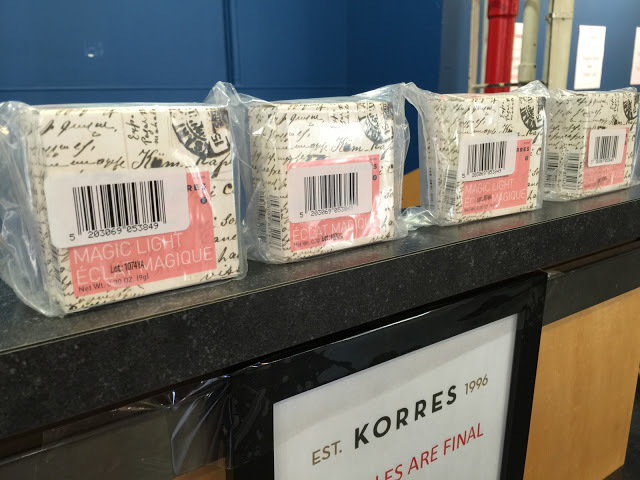 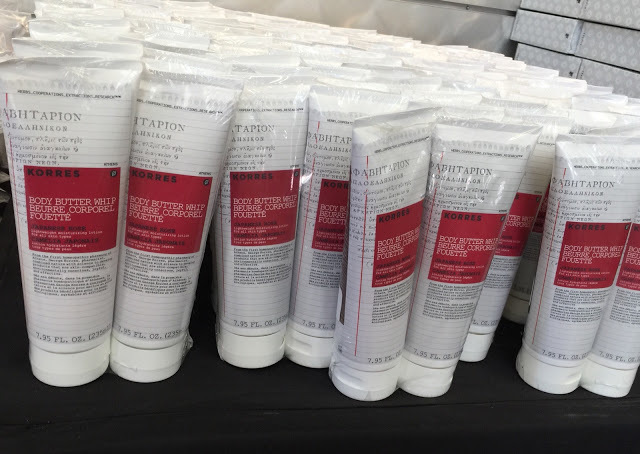 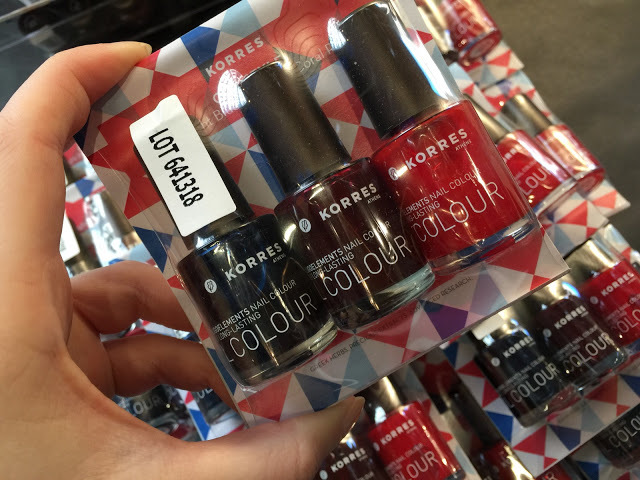 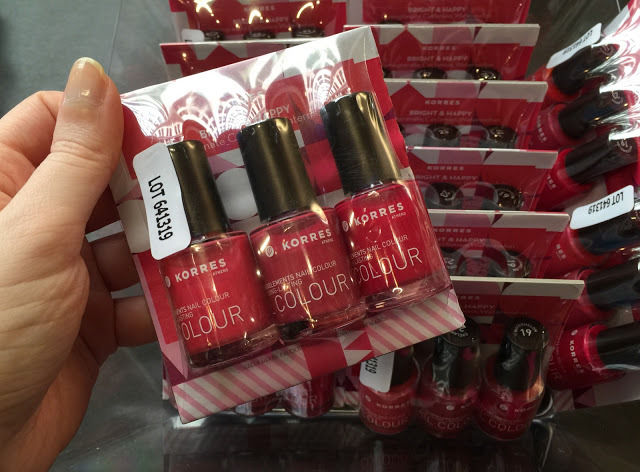 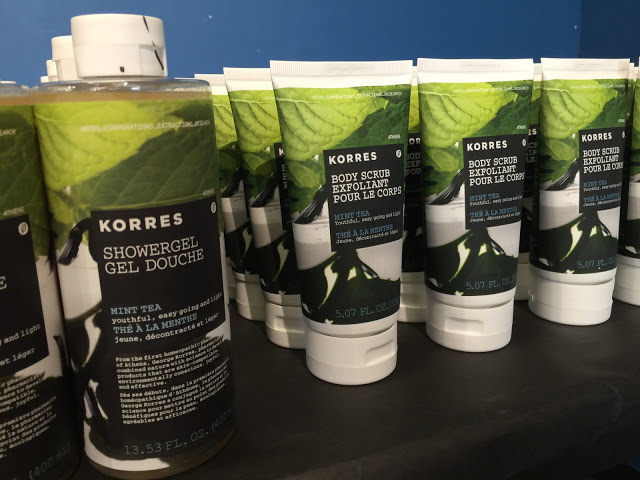 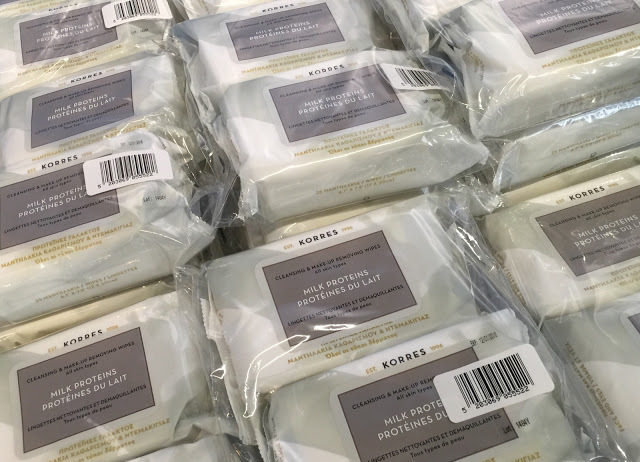 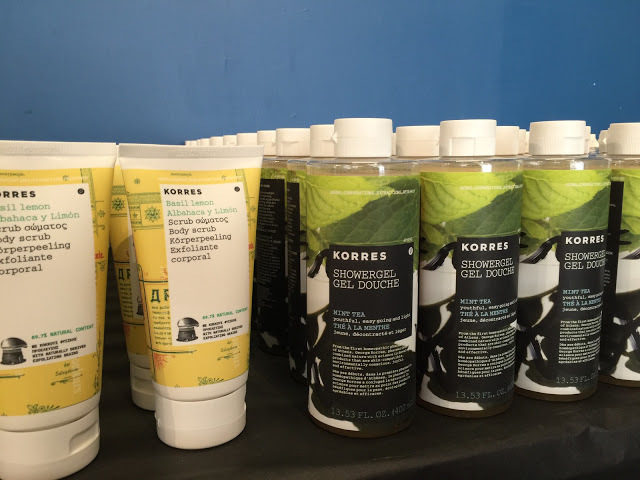 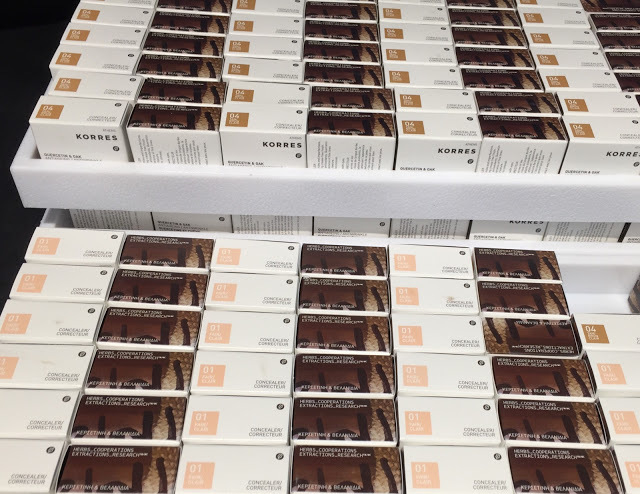 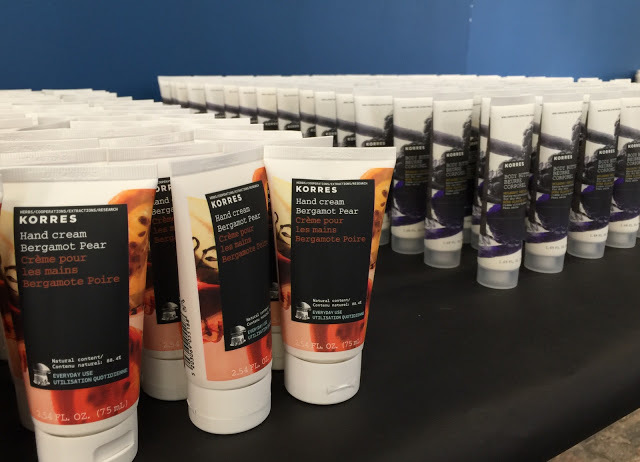 Yesterday I was invited to preview Korres‘ summer sample sale that’s taking place in SoHo this entire week. 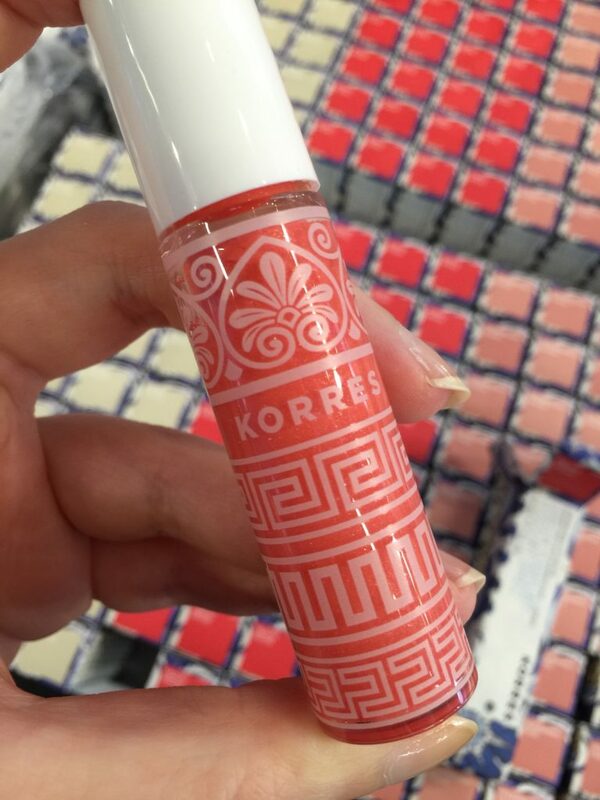 The Greek cosmetics company was founded by George Korres in 1996 and is beloved worldwide. 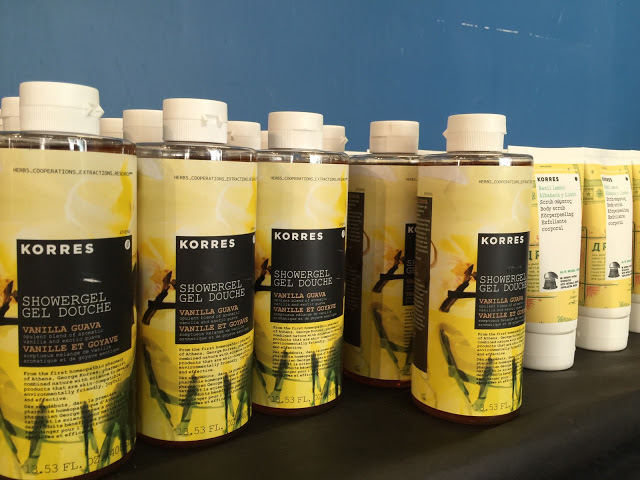 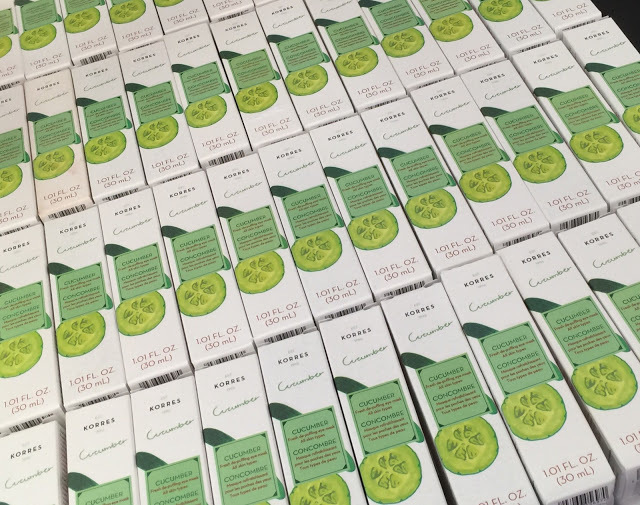 Korres products are comprised of 80% natural ingredients and use a combination of old herbal remedies as well as the latest scientific skincare innovations. 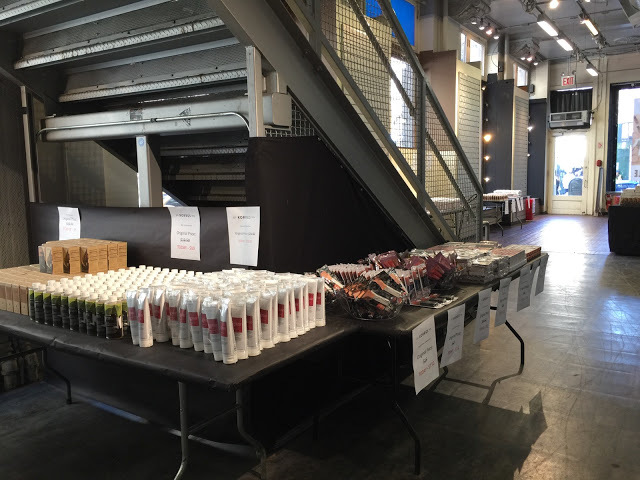 I arrived about half an hour before the doors officially opened to the public. 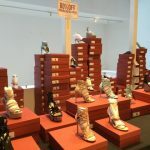 First off I have to say how struck I was by the enormous size of the new venue which is a major upgrade over their tiny old office space where their past sample sales used to be held. 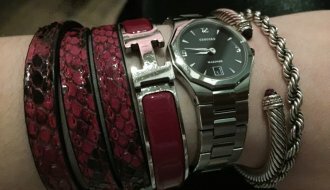 Instead of five people elbowing one another the new space can probably fit fifty! 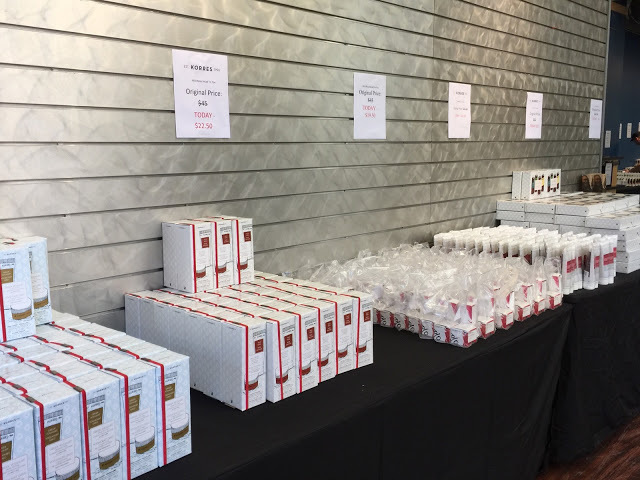 All merchandise was set up on tables and neatly organized by category. 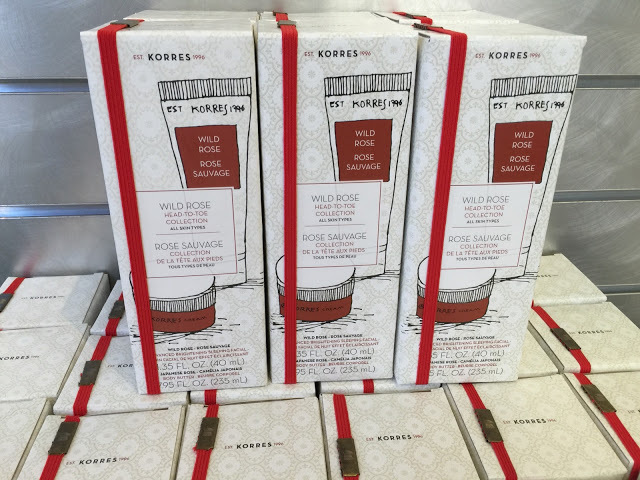 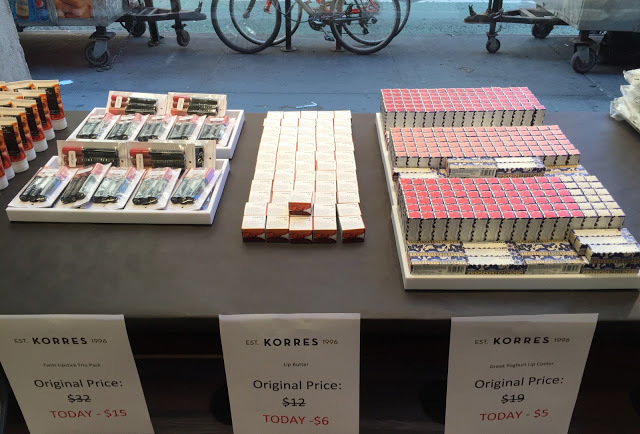 Among cosmetics I spotted Korres signature lip butter products available individually for $6 or as a set of three for $15. 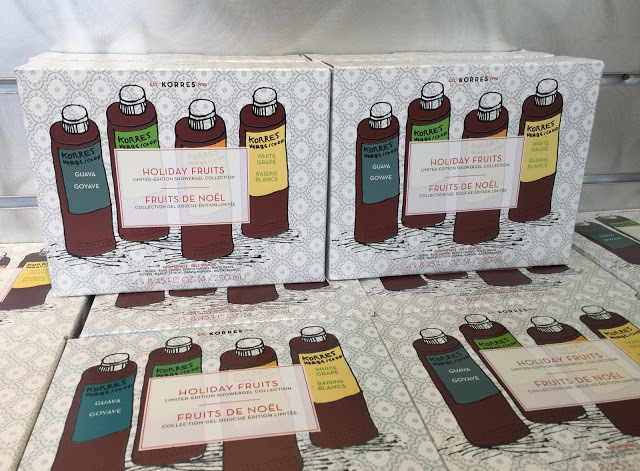 The set features mango, jasmine, and guava varieties. 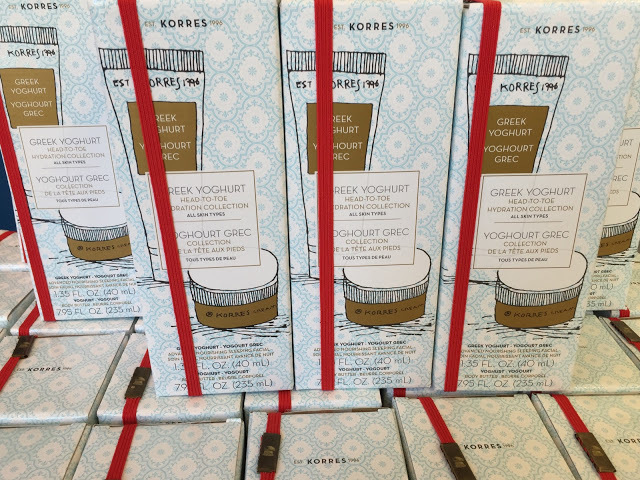 There were also Greek Yoghurt lip coolers $5 each or $15 for a set of four. 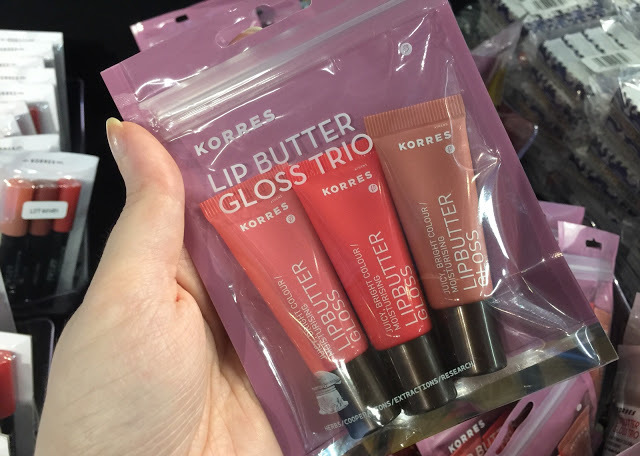 This is a rather unique product as its not your basic lip gloss. 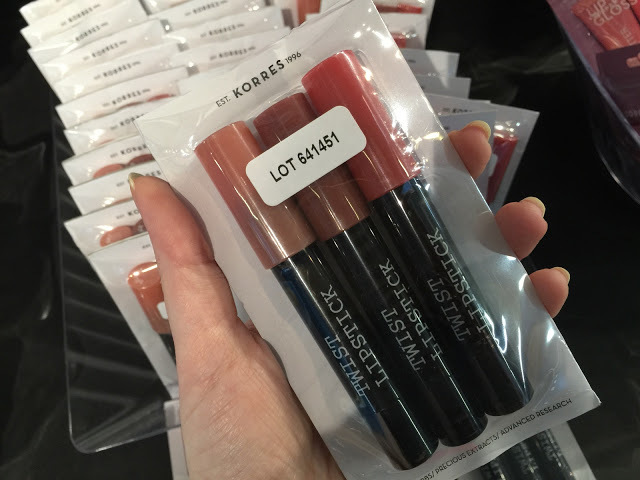 It’s more of a tinted lip scrub that features a metal roller ball inside the applicator wand. 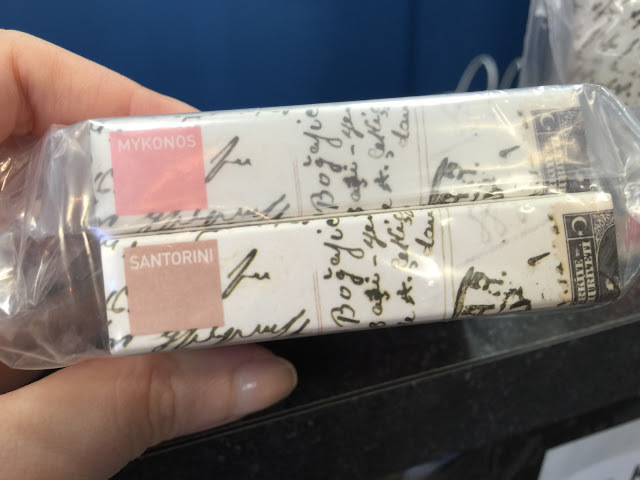 The packaging is also quite unique with the classical Greek motifs. 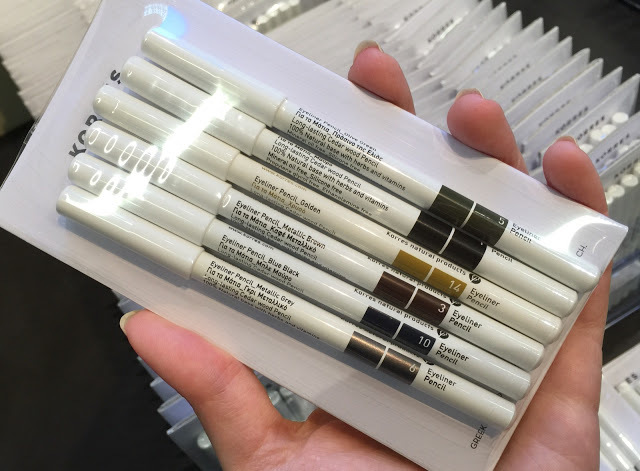 The sale’s most expensive items were Eyeliner Pencil Packs ($24.50) featuring 6 pencils in metallic grey, olive green, golden, metallic brown, blue-black, and black. 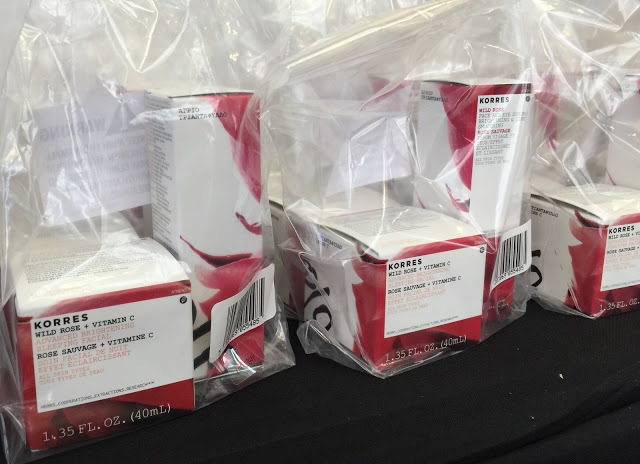 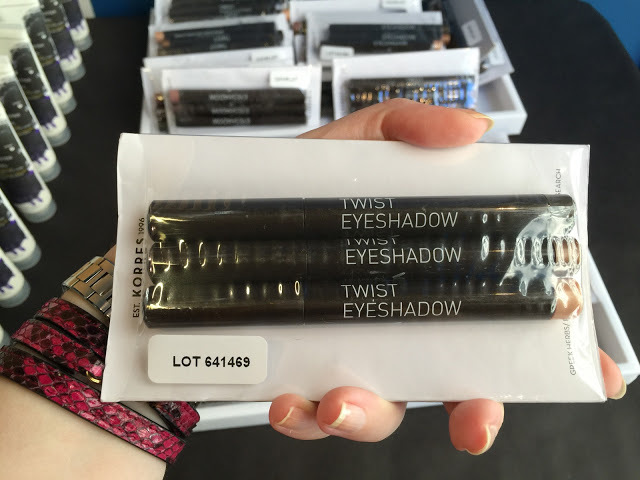 There were also Twist Eyeshadow Trio packs ($20) and Twist Lipstick Trios ($15). 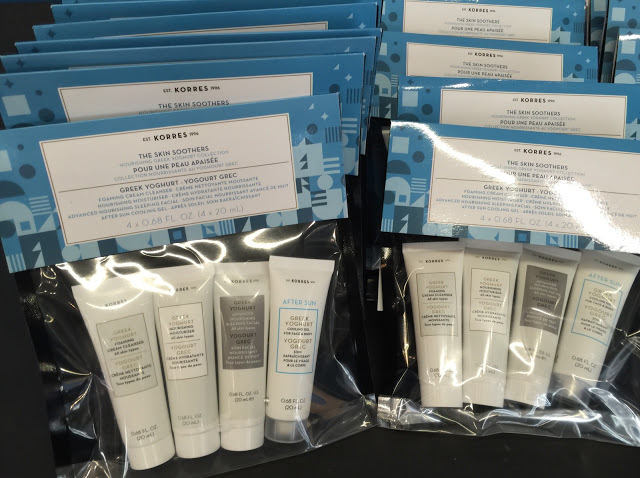 Jasmine eye make-up removers were priced at $14.50 while Bergamot Pear hand creams were $7.50. 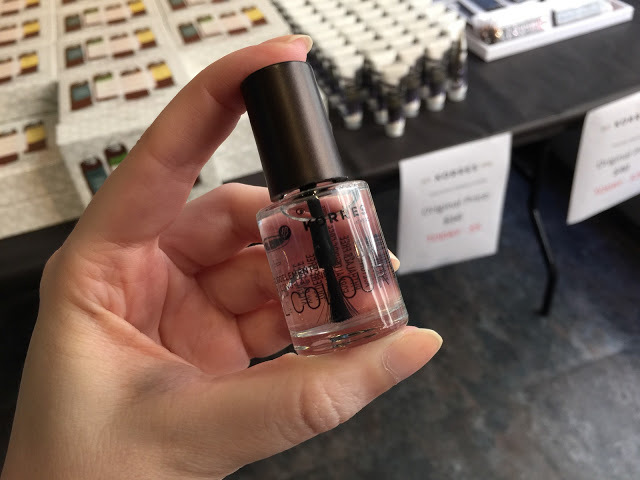 There was a large selection of nail polish: $6 base and top coats, $12 trios in two varieties. 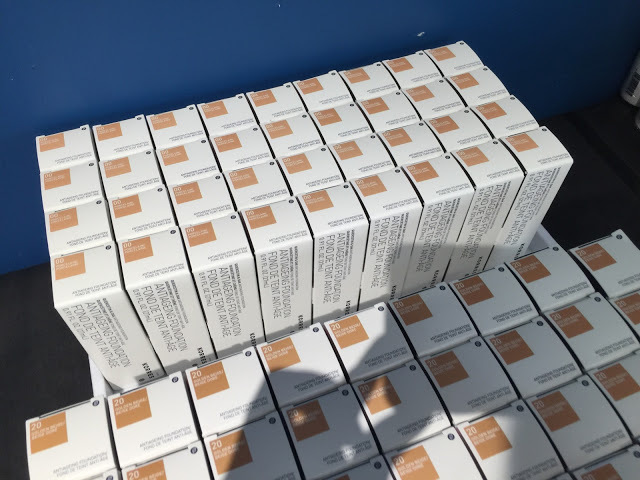 I’m also happy to report that this year there was a full range of foundation ($19.50) and concealer ($11) shades. 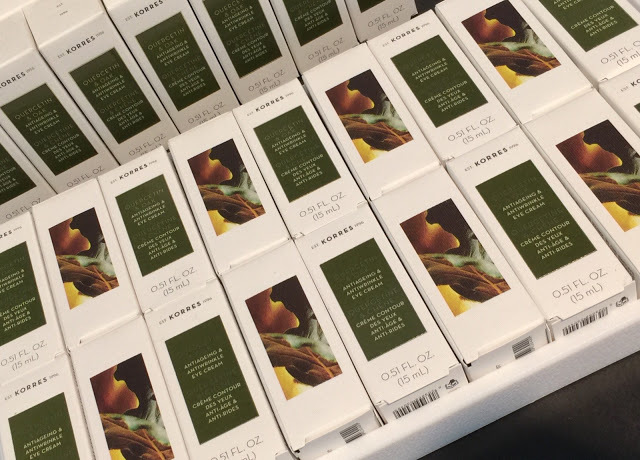 Quercetin & Oak is not your typical foundation, it features anti-aging ingredients that are also good for your skin! 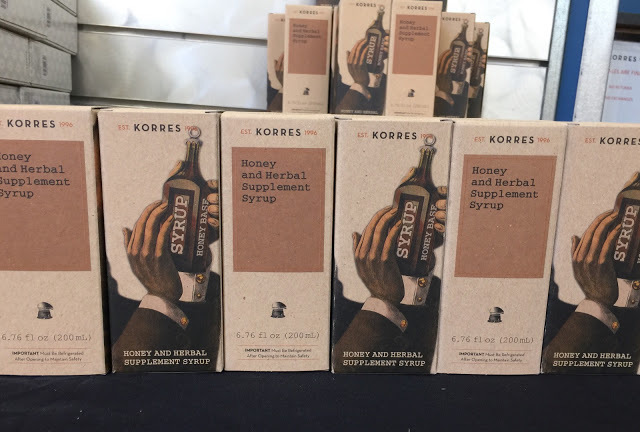 The product that really intrigued me was the Honey and Herbal Supplement Syrup ($5) with it’s vintage inspired packaging and delicious smell! 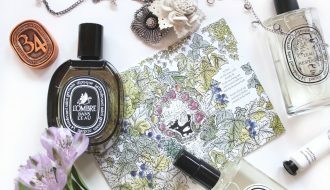 The ingredients include acacia honey, star anise, bitter fennel, and thyme. 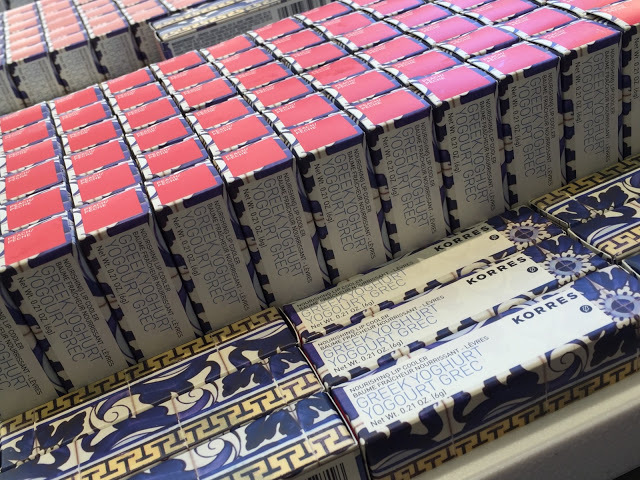 The only drawback is the expiration date of September 2016 but at $5 it’s worth taking a chance, imho. 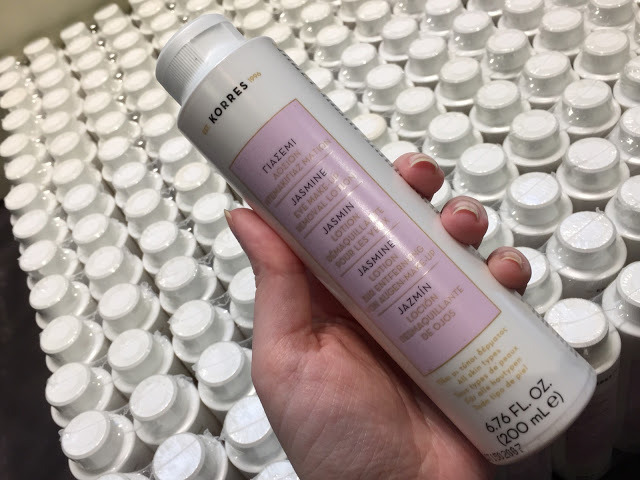 If you are a real stickler for expiration dates then I highly recommend double checking all products as most will likely expire within a year. 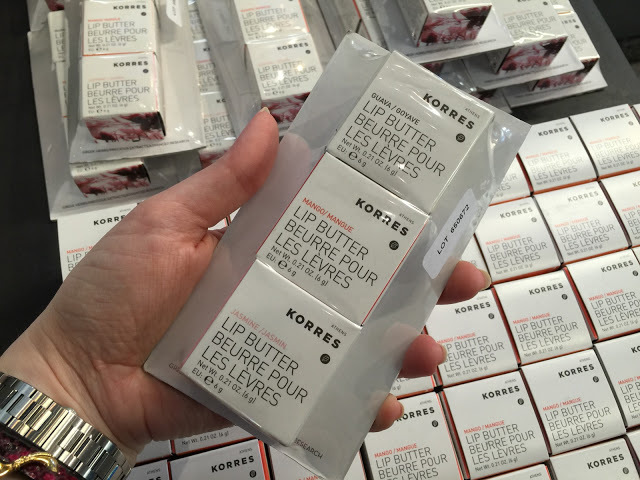 Not an issue though if you plan to use them right away! 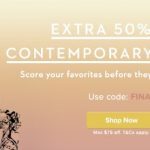 BOTTOM LINE: This is one sale that I always love to shop. 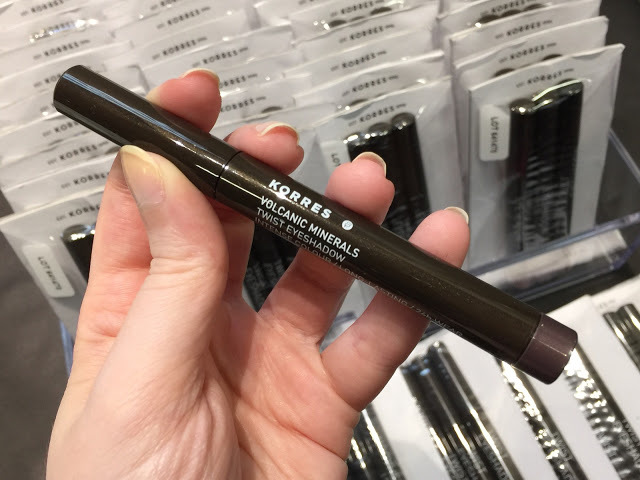 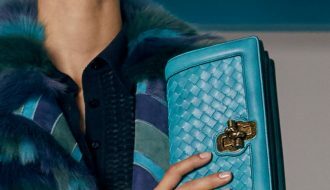 Unlike fashion sample sales, discounts of 50% to 70% off are pretty good when it comes to beauty and skincare so why not introduce yourself to great new products or stock up on the old favorites. 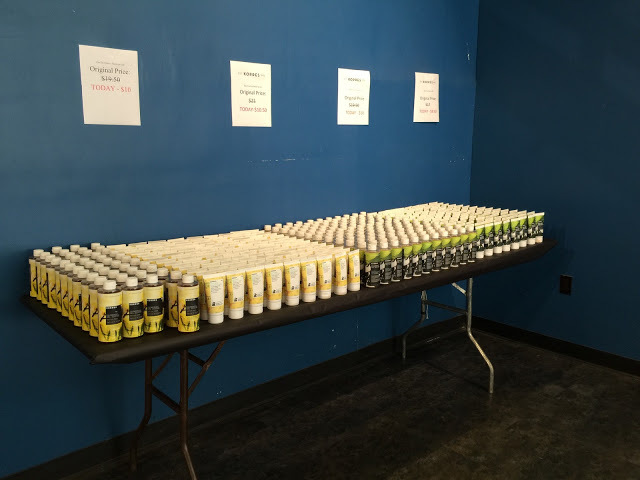 Prices were very reasonable and there was a ton of stock to last most of the week. 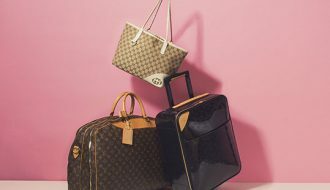 As the sale is set to run through Sunday it’s possible there may be additional markdowns but that largely depends on how much is left. 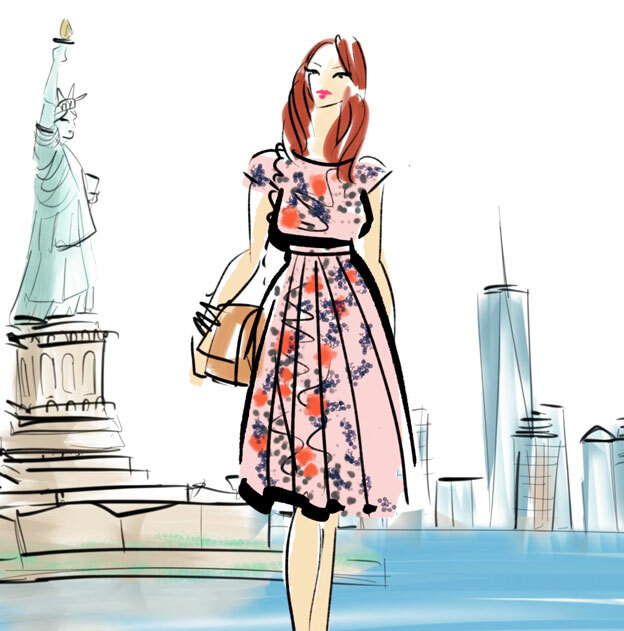 As always please keep an eye on my social media accounts for the latest news and updates and happy shopping!